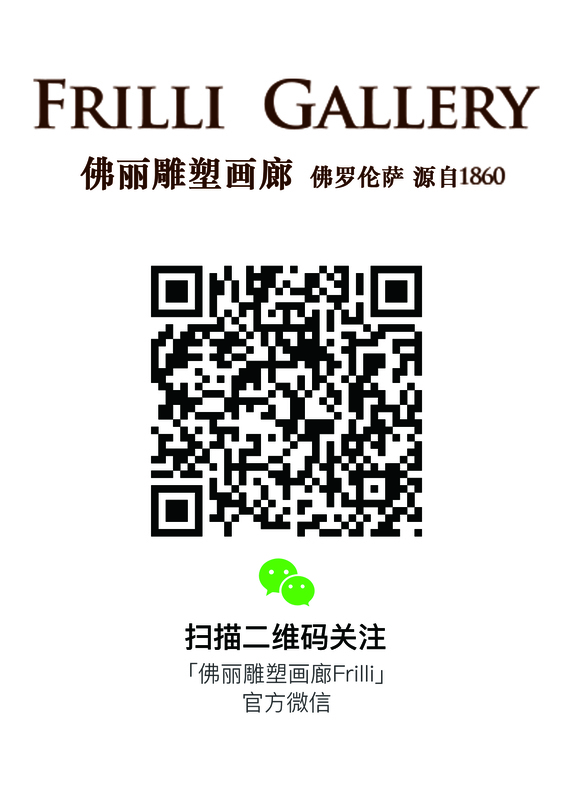 The Frilli Gallery is proud to entertain a long established relationship with the Opera di Santa Maria del Fiore, an historical artistical city insittution. 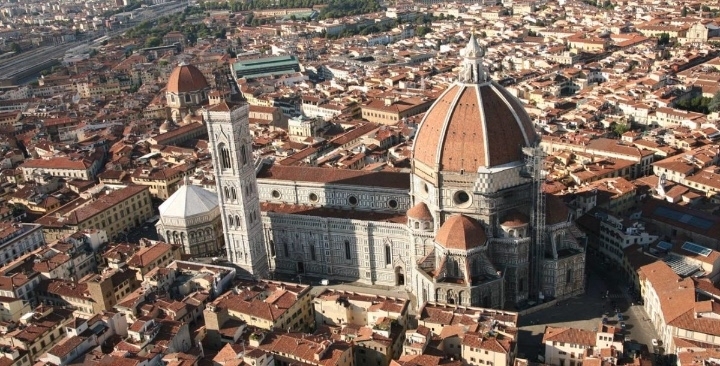 The Opera di Santa Maria del Fiore is the owner of the Cathedral , the Baptistery and the Bell Tower of the city of Florence. It was founded by the Guild of Calimala in 1296. 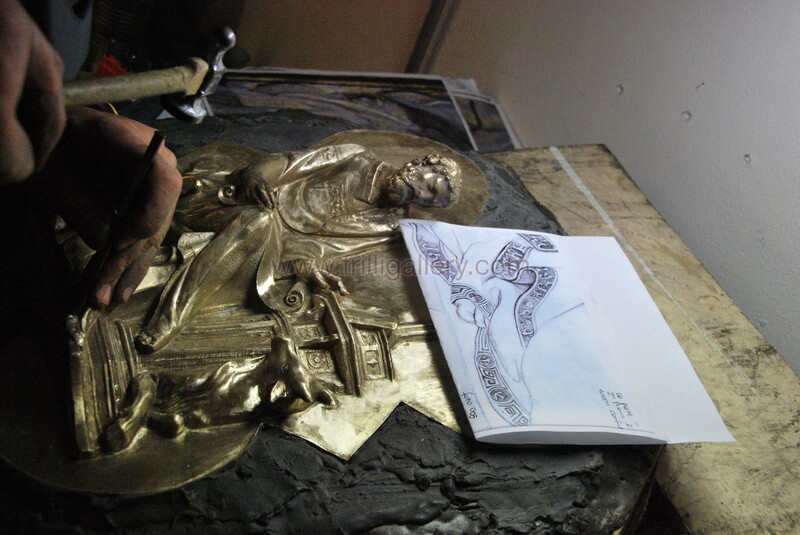 Frilli Gallery has produced for the Opera di Santa Maria del Fiore, in the last forty years, the bronze replicas of the Baptistery doors, thus allowing the substitution and preservation of the original artworks . 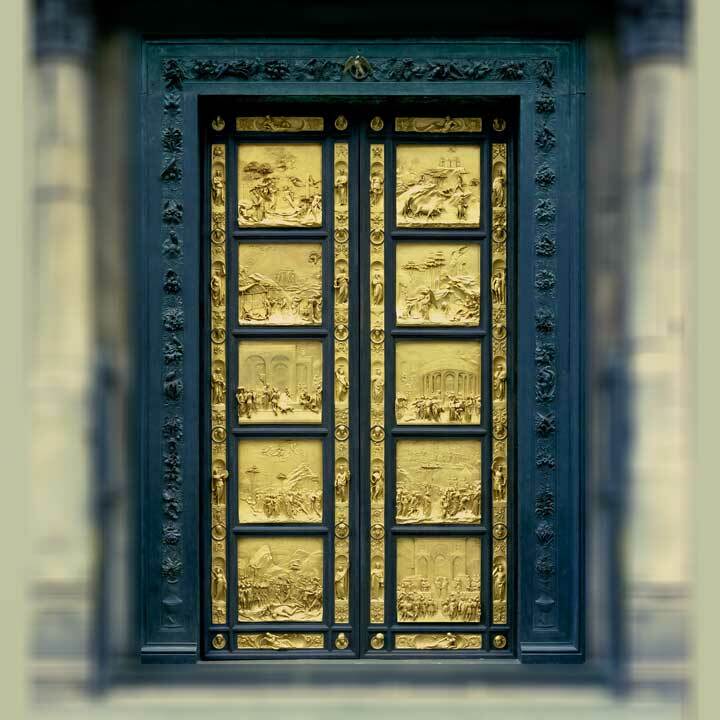 The first door to be reproduced in the 1990s was the Gates of Paradise , so called after Michelangelo's appellation to the work by Lorenzo Ghiberti. These doors were produced from original gypsum molds taken after Second World War, that Frilli Gallery owned. 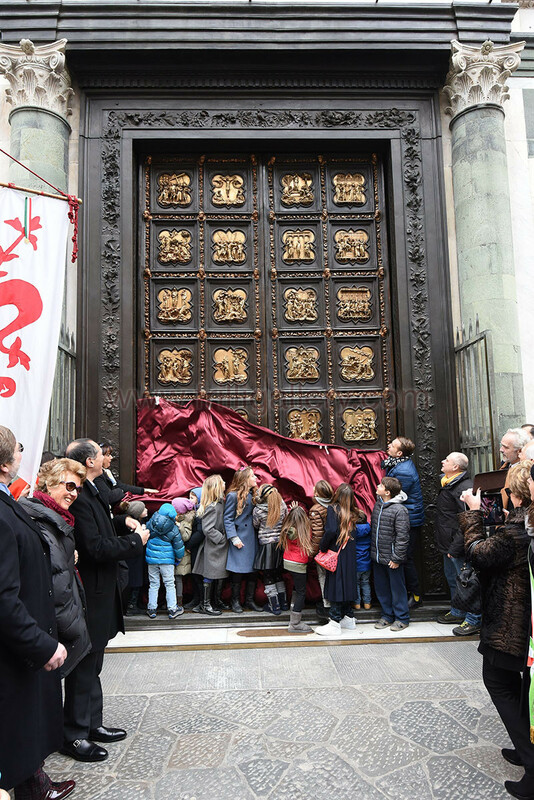 The second replica was the North Door , executed with an important contribution of innovation and research, since no original mold existed nor could be taken from the masterpiece. Incredible craftsmen skills in casting the replica required three years of work, from 2013 to 2016. 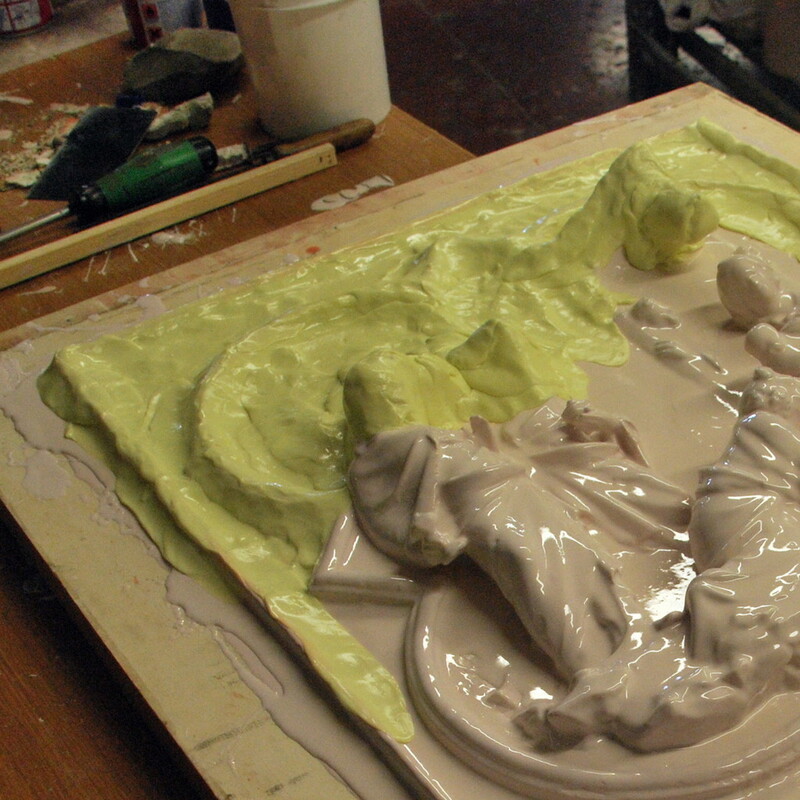 The Frilli Gallery is presently casting the replica of the third door, the South Door by Andrea Pisano. Its installation in the Baptistery is forecast for the beginning of 2019. The Baptistery of Saint John is a unique testimony of the artistic and historic excursus from Gothic to Reinassance, into Baroque times. It is a vivid proof of how the human civilization has evolved from Medieval times into an era of Illumination and Modernity still strongly influencing our present time. 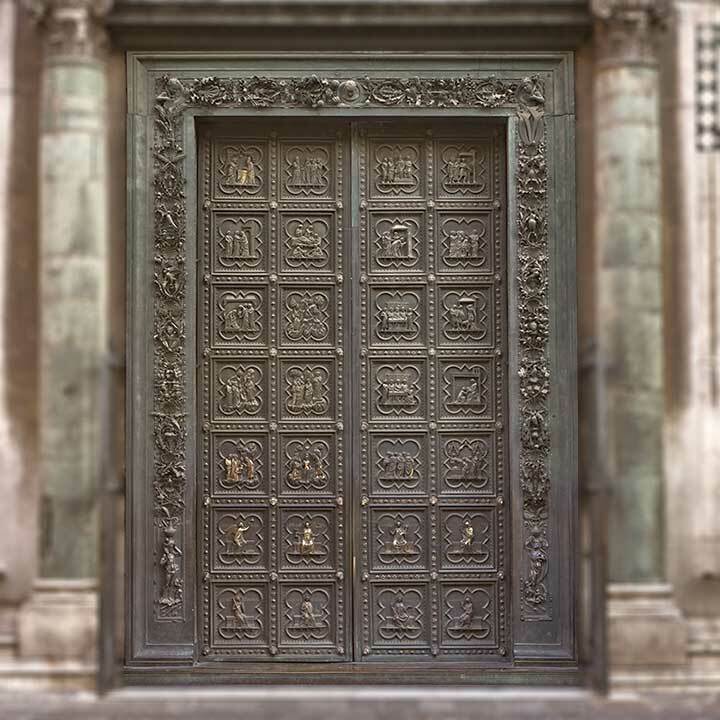 The first door that the Frilli Gallery reproduced in the year 1990, is cronologically speaking the last door that was produced for the Baptistery. It is the Gates of Paradise ( 1425-1452), probably the most famous of the three doors thanks to the name that Michelangelo attributed to them in consideration of the fact that it were so beautiful they would have led the way to Paradise. The story of this replica dates back to a much older time than its production. The year 1945 was the end of World War II and Florence, altough it had been protected by the allies and mostly saved by the bombing, was severely damaged. Most of the public monuments had been removed and hidden around the city in the periphereal countryside. 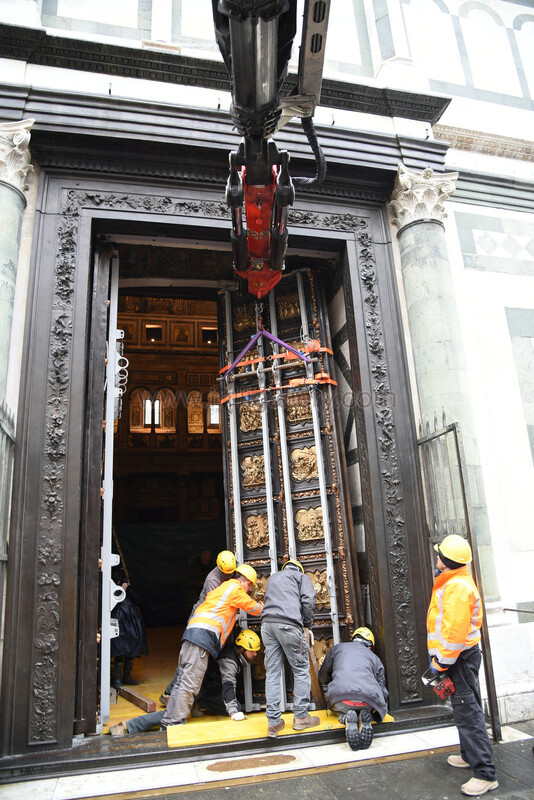 The three doors of the Florence Baptistery had been recovered inside a railway tunnel nearby Incisa, just out of town. 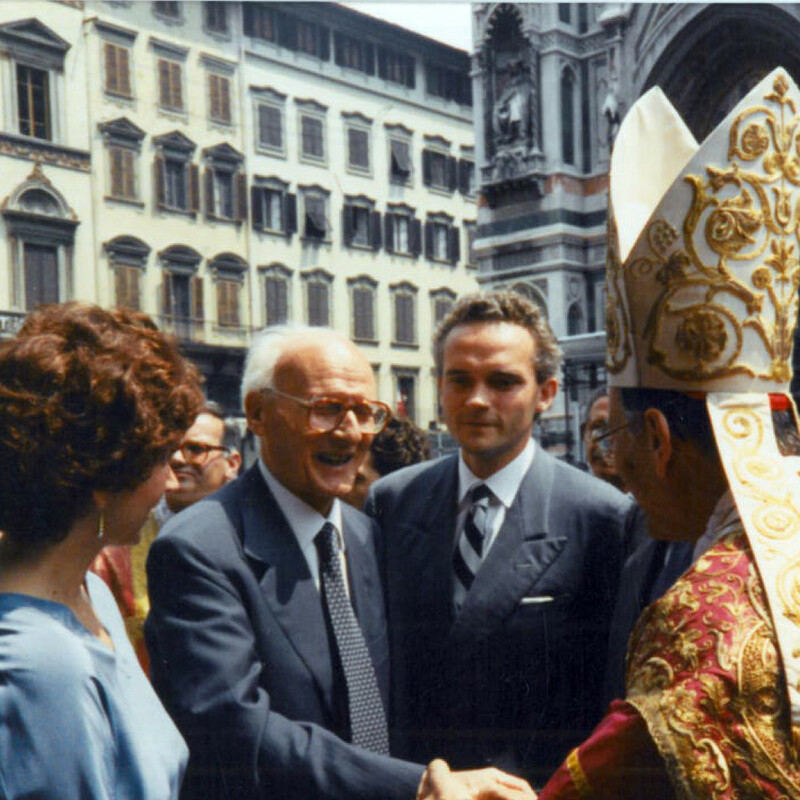 The person who took care of moving the artworks was Bruno Bearzi , renowned foundry man and esteemed person in the field of arts in Florence. When the doors were brought back in place, it was decided to restore them, and plasters molds were taken for future use. Back then the Opera di Santa Maria del Fiore was not keen into substituting the original artworks with copies. The plasters remained in the hands of Mr. Bearzi who ultimately sold it in the 80's to Aldo Marinelli and to the Frilli Gallery. We are talking about plasters of immense value, since they were taken on the original artwork after a major restoration and cleaning, therefore extremely detailed and reliable. 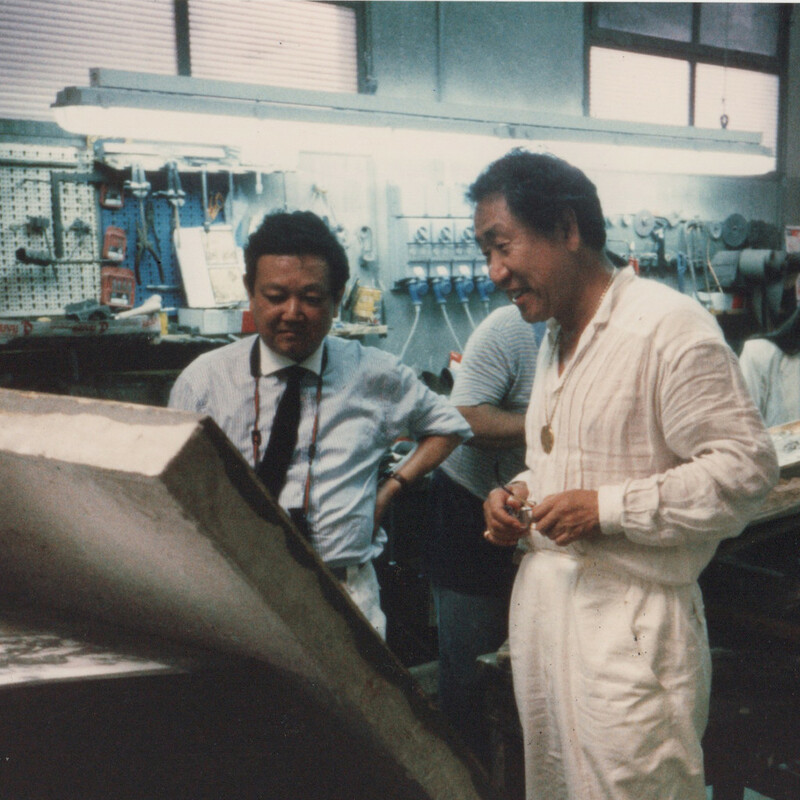 Aldo Marinelli , with a great deal of experience in the lost wax casting, in the year 1990 proposed to his japanese client Mr. Choichiro Motoyama , to finance the replica that would have substituted for good the orginal work in the Baptistery. The Opera di Santa Maria del Fiore start to realize that it can no longer keep on a hold a restoration of the masterpiece. Mr. Motoyama accepts the proposal, feeling the personal necessity to pay homage to the city of Florence. 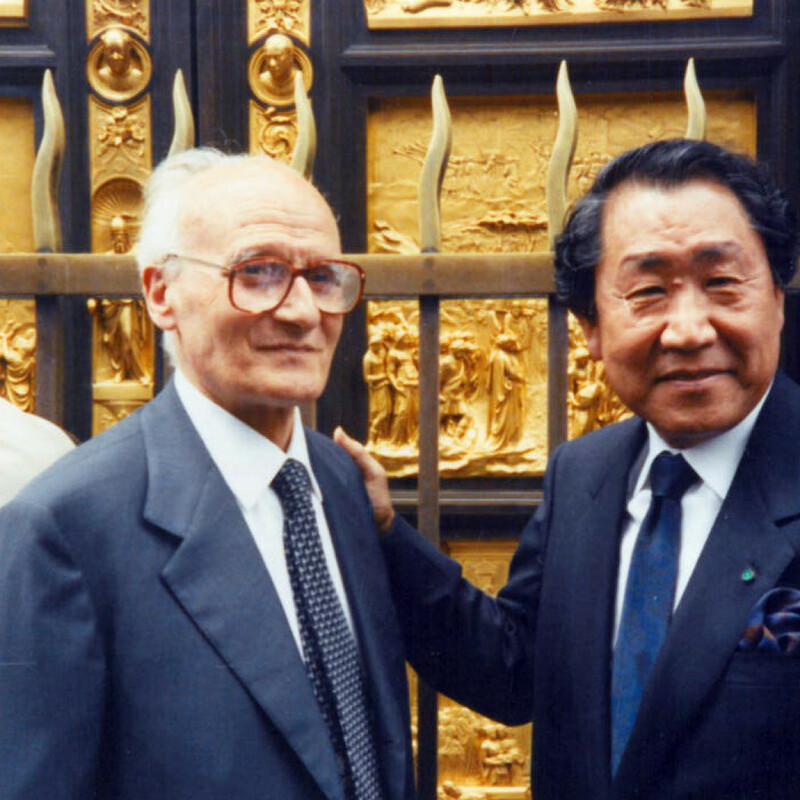 Choichiro Motoyama is nowadays a 96 years old Japanese buddist, who owns much of his fortune to Florence. 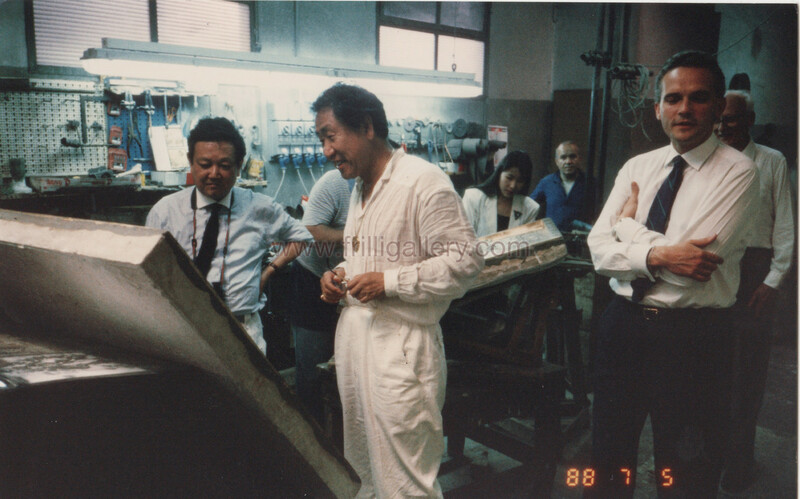 He was the very first re-seller of luxury fashion brands like Ferragamo, Gucci and Etro throughout Asia, and thanks to his entrepreneurial approach, italian fashion brands became extremly popular in Japan and profitable to him. 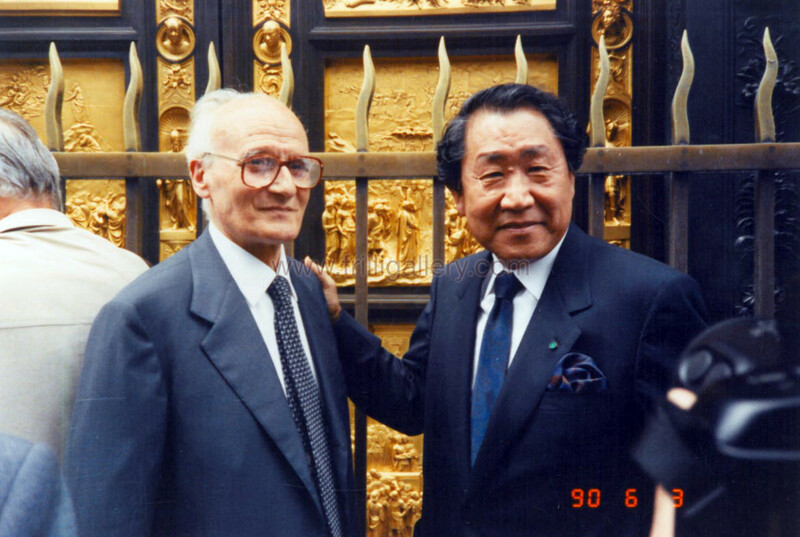 The agreement with Motoyama was that he would have paid 800.000,00 of the old liras to finance a museum quality replica to substitute the originals in the Baptistery and in exchange he would have got for himself an entire other replica of the Gates of Paradise. 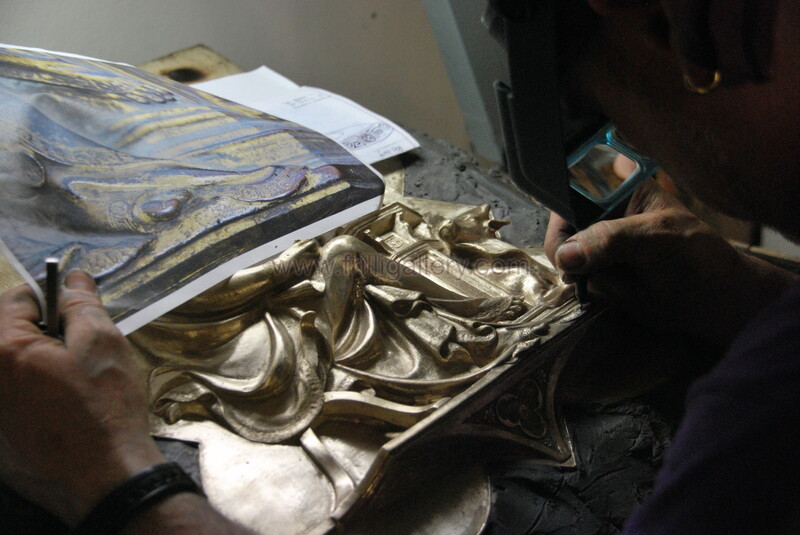 The Frilli Gallery cast both the replicas which were authorized and certified by the Opera di Santa Maria del Fiore. 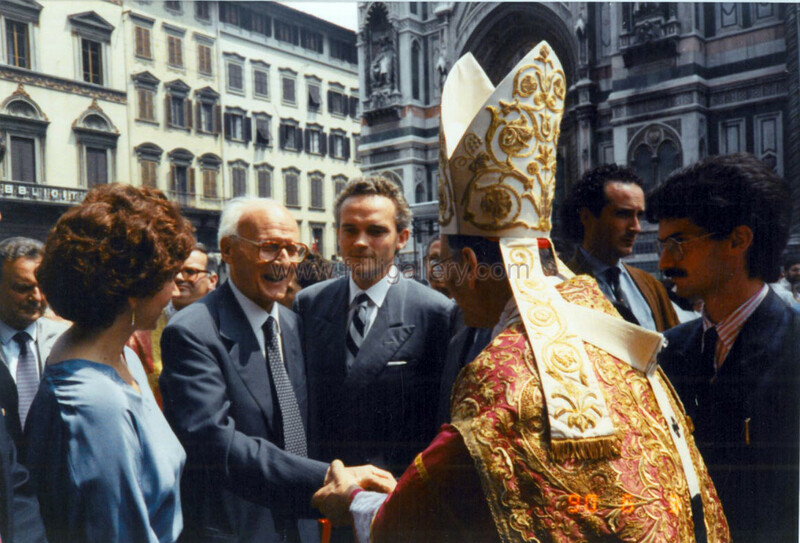 The replica affixed on the Baptistery was inaugurated in May 1990. 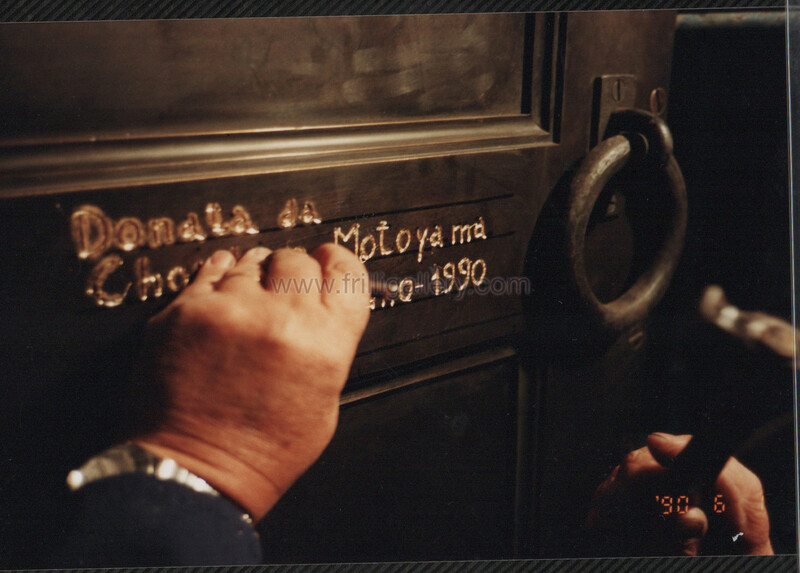 In the internal part of the door the name of Mr. Motoyama is engraved in the bronze, in eternal tribute and memory. The replica, property of Mr. Motoyama was never shipped to Japan tough and it remained crated in a warehouse in Florence for years. 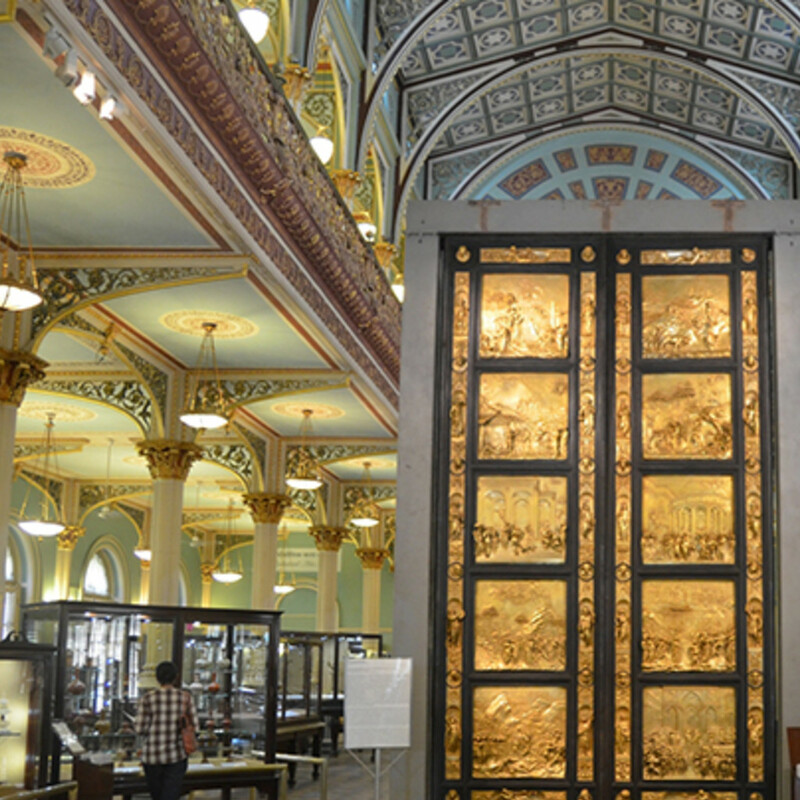 Enrico Marinelli, son of Aldo and founder of the Guild of the Dome association, a non for profit supporting the Opera del Duomo, got the replicas involved into a marvelous trunk show aroud the globe visiting India and Korea. 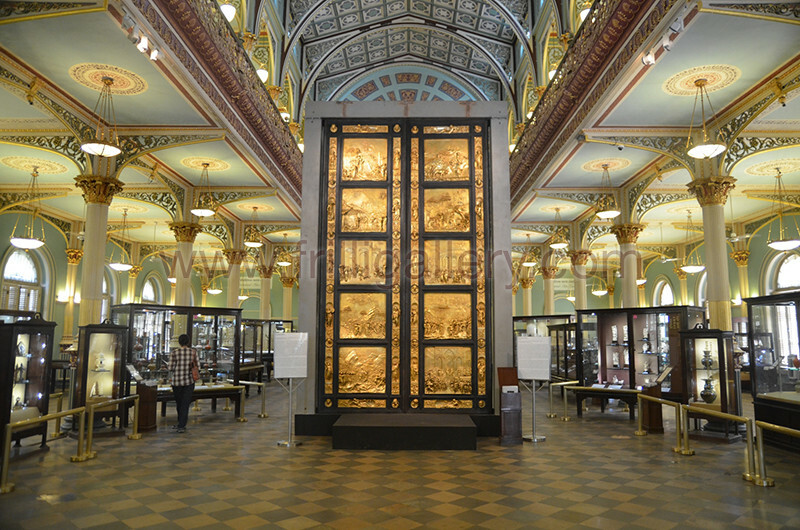 The replicas travelled between 2012 to 2016 first to the Bau Daji Lad Museum in Mumbai for the first ever to be set Reinassance exhibition in India titled “Florence - the city as the crucible of arts”. 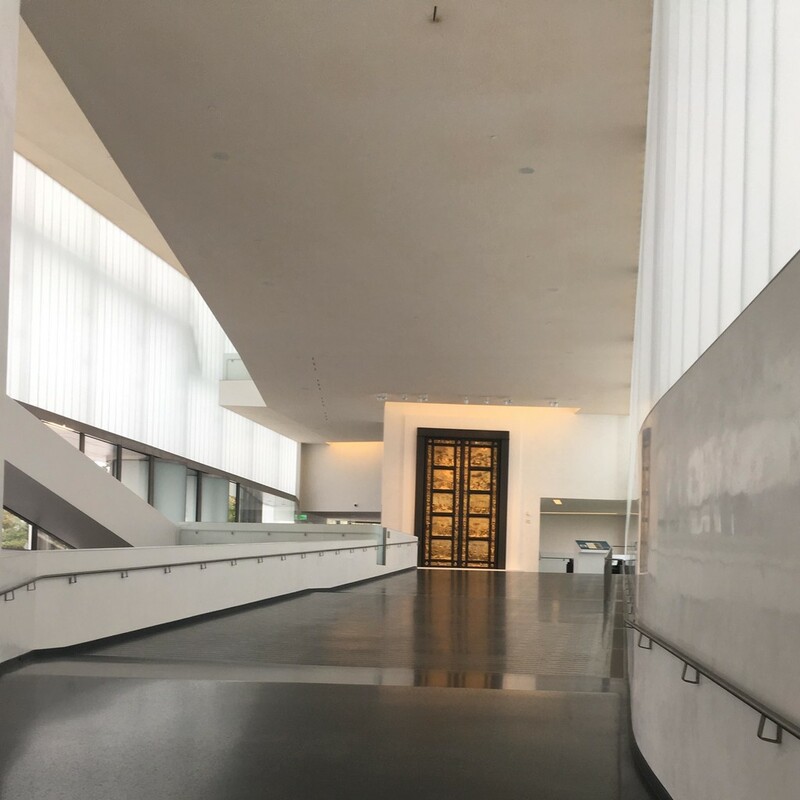 It then moved to South Korea, Seoul, in occasion of the official visit of Pope Francis I, where it was exhibited inside the exhbition “Divine Beauty” at the National Palace Museum. 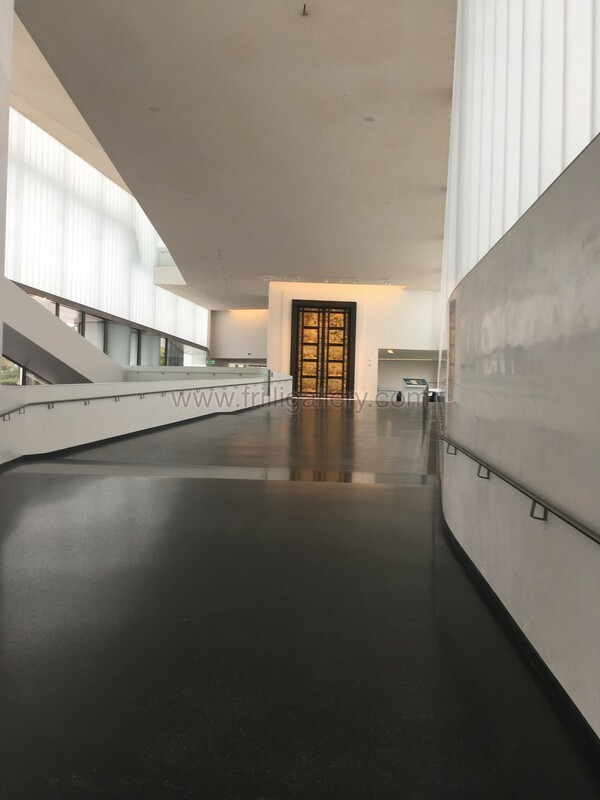 Recently, in February 2017, it was acquired by an art collector, benefactor and member of the board of the Nelson Atkins Musem of Kansas City, who donated it to its city and its museum. 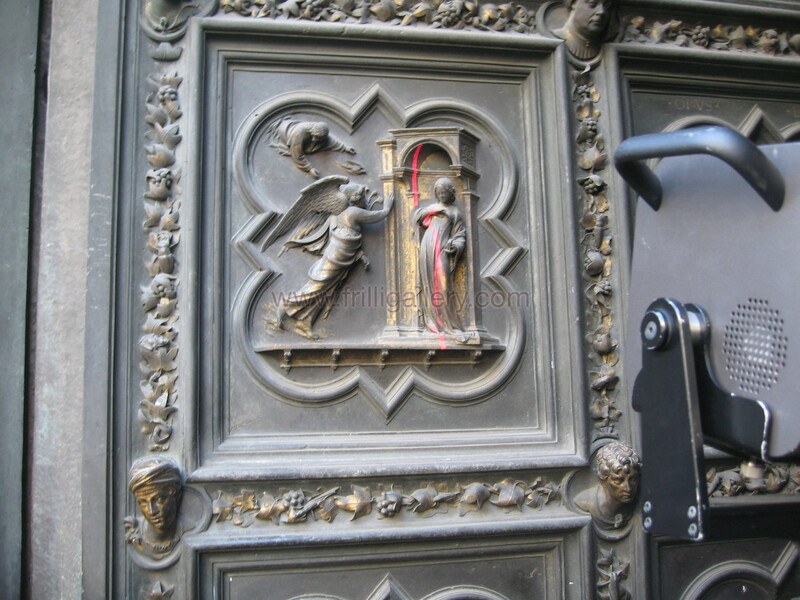 In recent years the Frilli Gallery has contributed again to the preservation of the monumental complex of the Opera del Duomo, substituting with a faithful mueseum quality replica also the North Door. 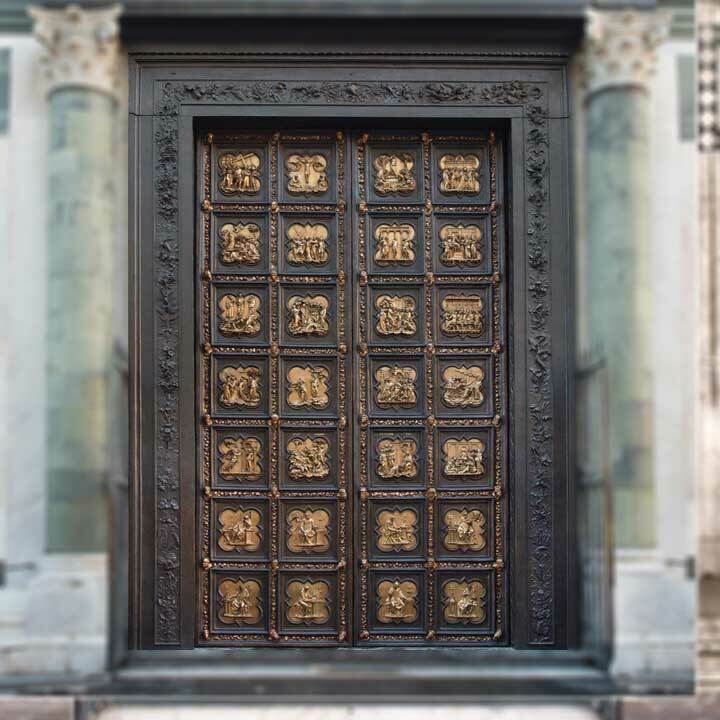 This has been the first door to be realized by Ghiberti between 1403 and 1424. Placed north, it has been subject to more stress than the other two doors, especially to car traffic and consequent pollution. 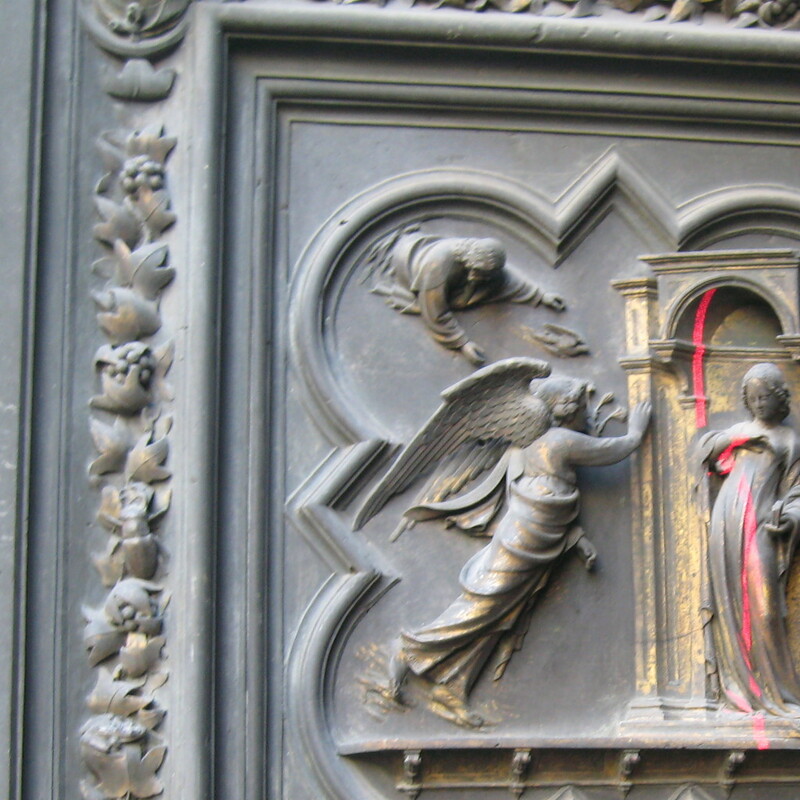 The North Door bares and immense significance as it is considered the cross point between Gothic and Renaissance. From an historic point of view, it marks the end of the Medieval era and the beginning of the Modern era. 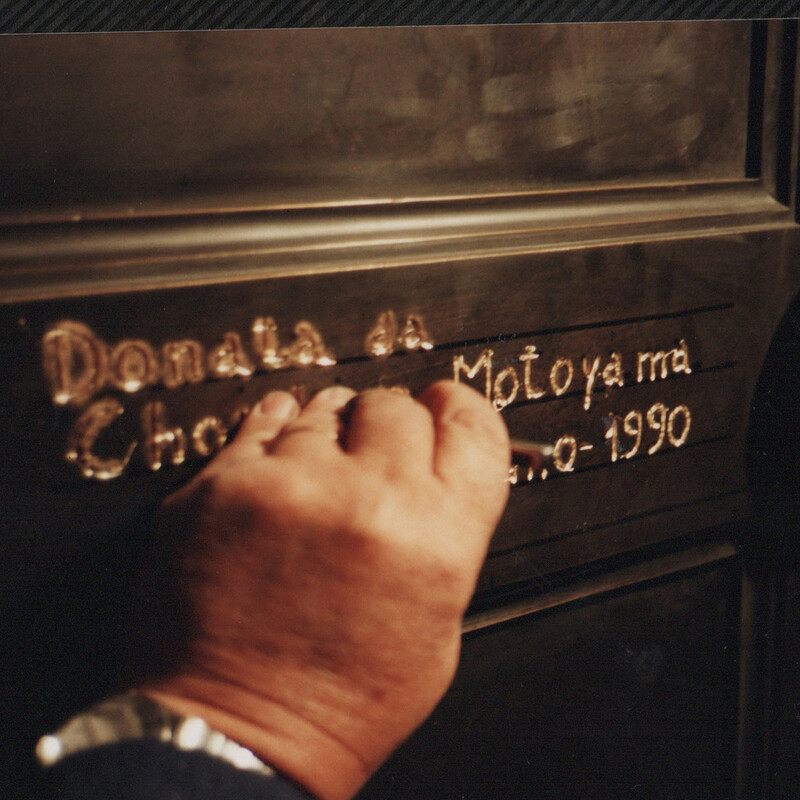 The replica of the North Door has required 4 years of work and important figures. Because no physical mould has ever been taken on the original, a 3D scanning of the masterpiece was done, both inside and outside, with a high-tech equipment which has releaved more than 18 million points per panel. The prototype developed is made of nylon powder, sedimented layer by layer with a 3D printer, this recreating the panel previously re-constructed on the computer. 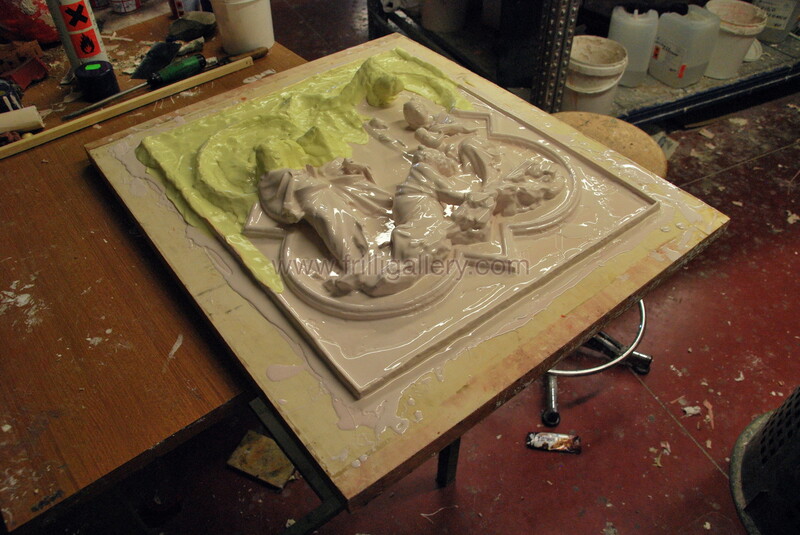 It is now possible to do a sylicon mould and start the lost wax casting traditional process. It is interesting to understand that these new technologies are coming into aid and support for what cannot be executed any longer in the traditional way. The laser scanning and the nylon prototyping avoid the natural shrinking of the lost wax casting process, once the bronze cools. 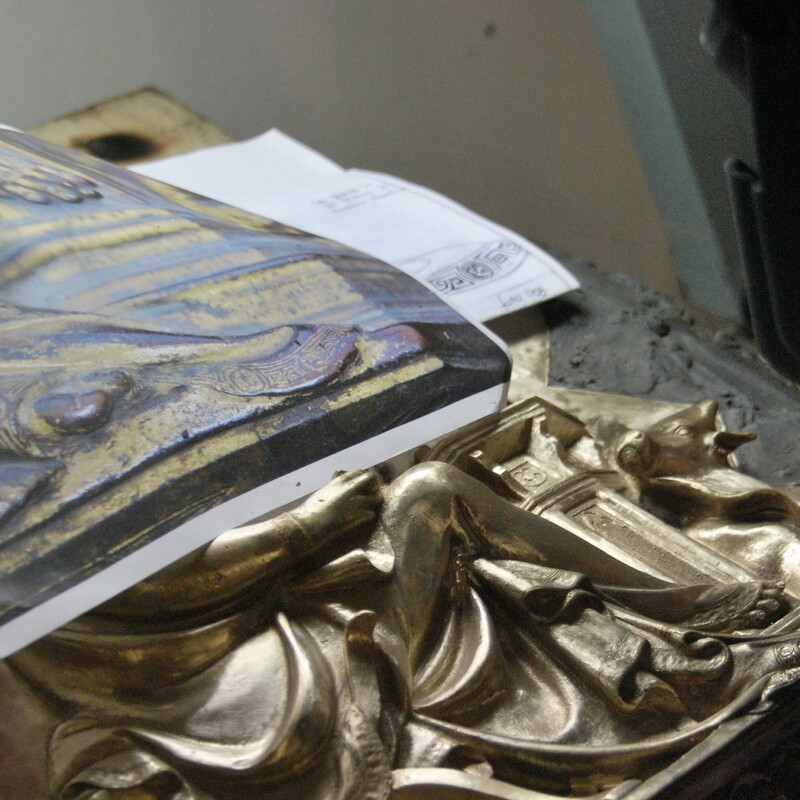 This is because the starting prototype is printed 1,5% bigger than the actual masterpiece, thus confering to the replica an incredible level of faithfulness not only in the artistic details, but also in the measures. The wax retouching is executed trough an accurate photographic documentation. 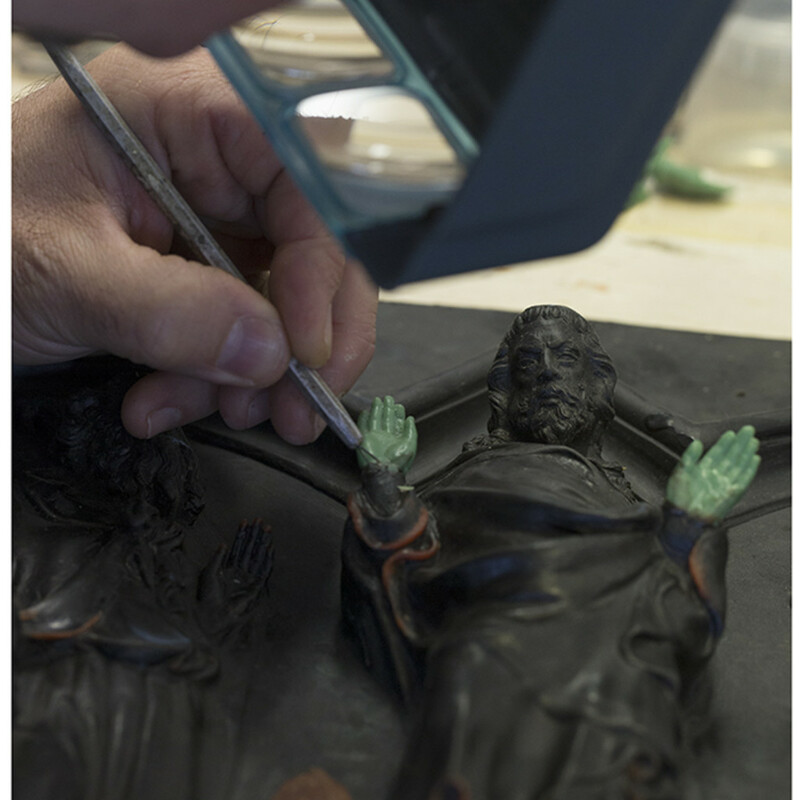 The lost wax casting is done in parallel with the restoration process occuring at the Opificio delle Pietre Dure in Florence, the state laboratories of restorations. This allows to recreate faithfully every detail that is brought back to light after the cleaning. 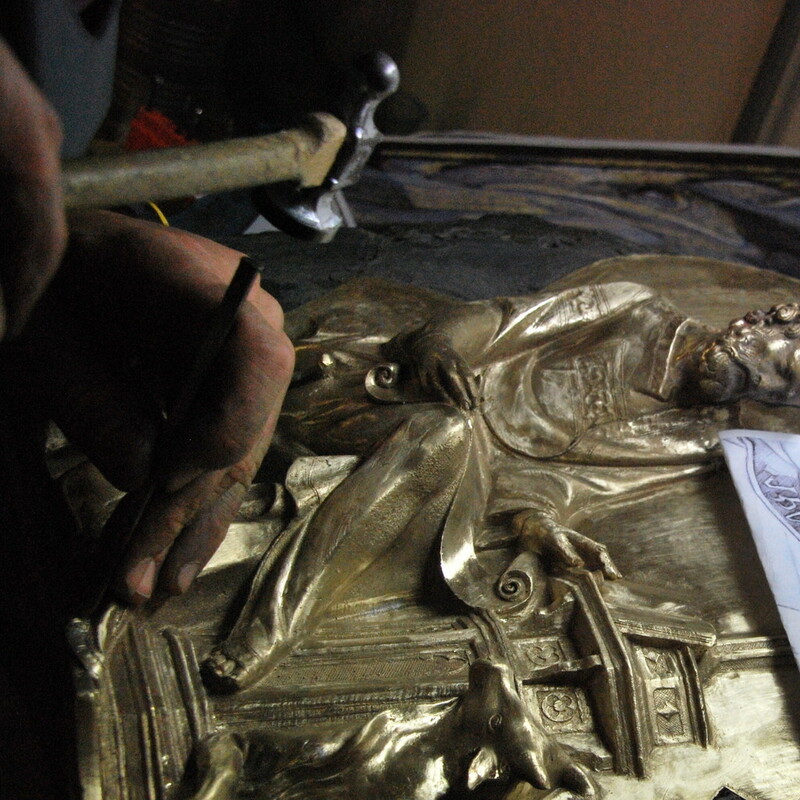 The wax retouching and the bronze chiseling are quantifiable in 350 hrs of work per panel. The casting inside the big oven has required 50.000 cubic meters of gas and 150.000 kw of electricity. 1 hundred tons of sylicon, 400 kgs of wax and 3, 5 tons of bronze have been utilized for the cating of the replica. 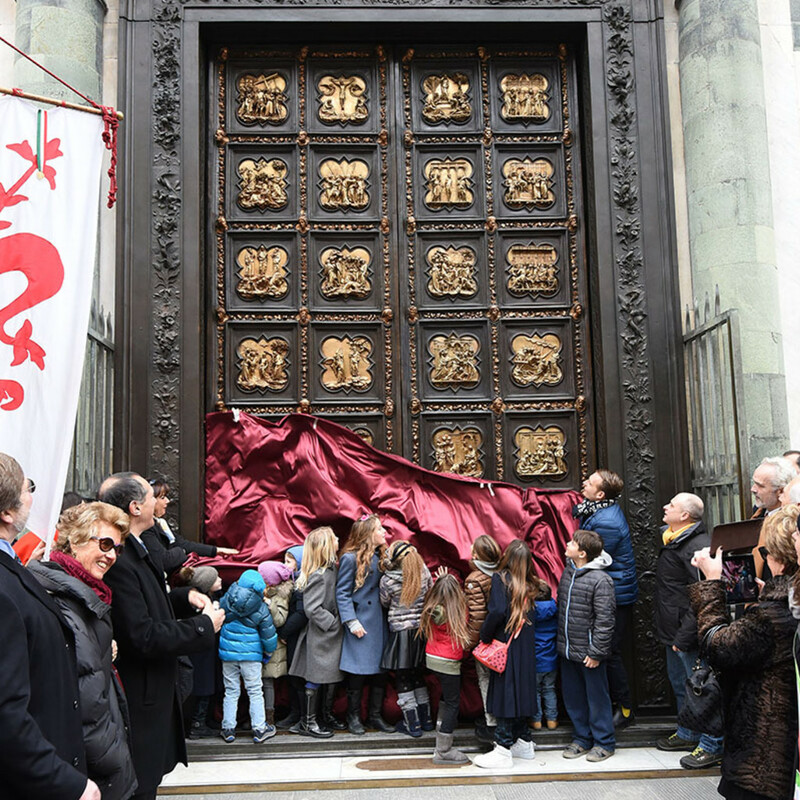 The replica was inagurated in Piazza Duomo, the Cathedral's square, at the presence of the Florentines, on January 2016. 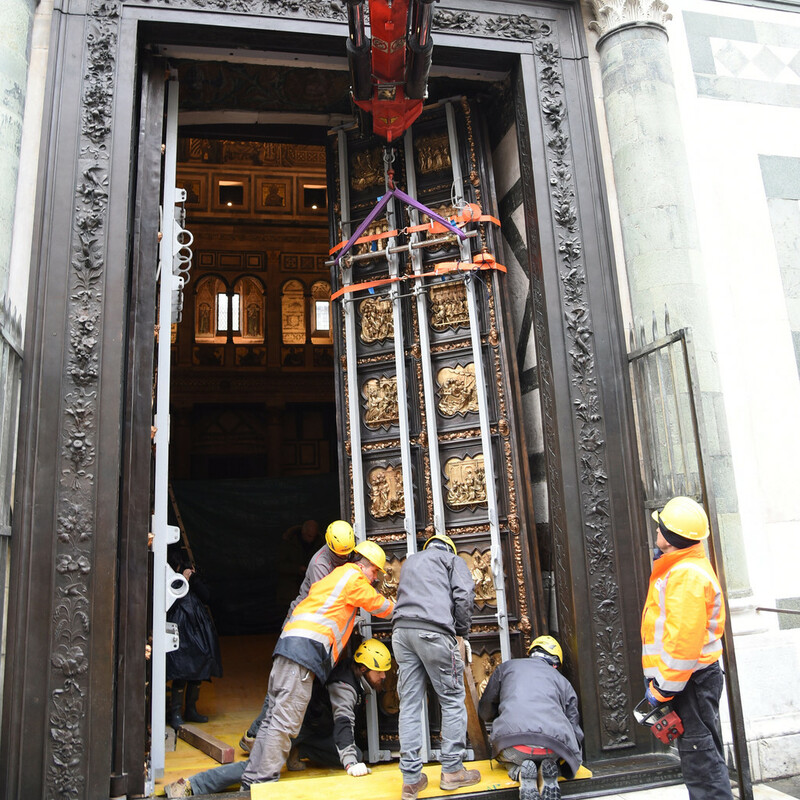 In September 2016 the Opera del Duomo institution removed the last door still on the Baptistery, the South Door by Andrea Pisano (1329 / 1336), cronologically the first of the three doors to be realized. 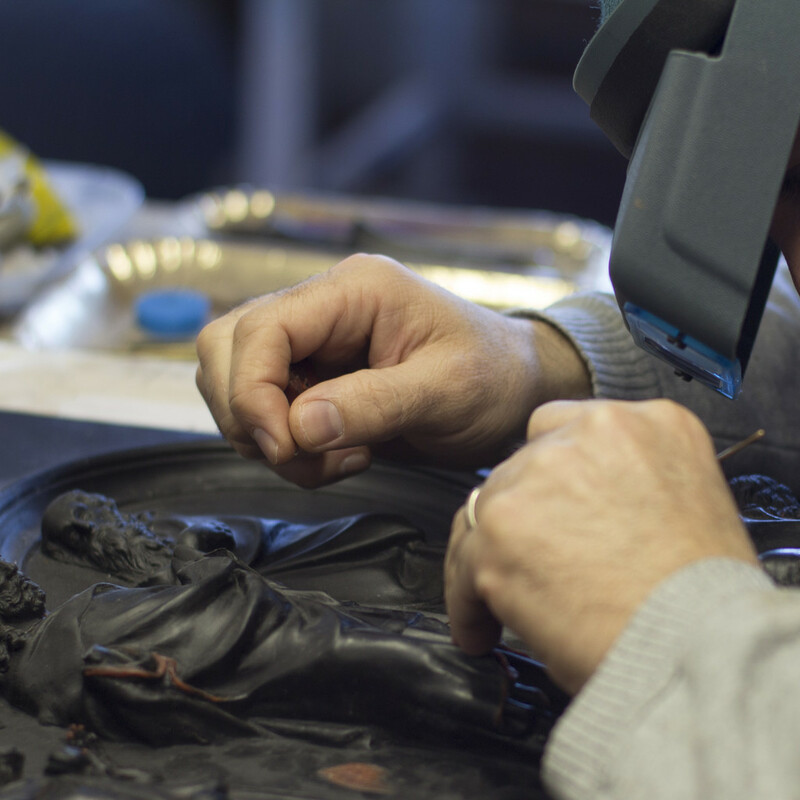 The Frilli Gallery in these years is producing such replica with the lost wax casting, in parallel again with the incredible restoration work happening inside the Opificio delle Pietre Dure, the restoration state laboratories. The replica is due for the Autumn of 2018.